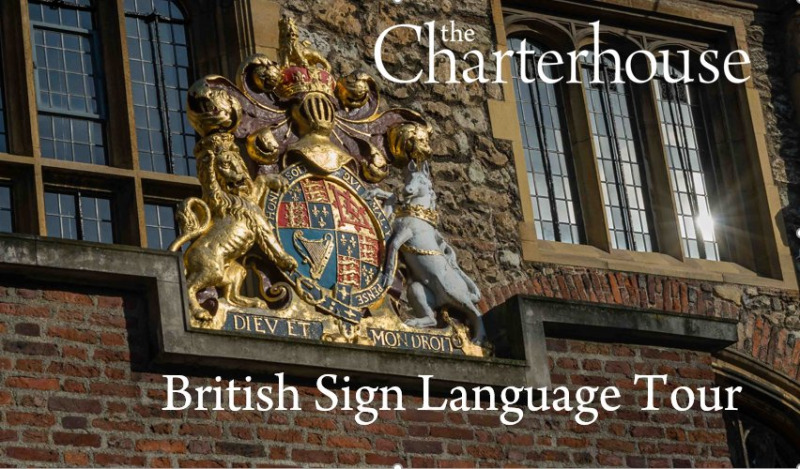 Join Alan Murray, our BSL guide, to see the highlights of the Charterhouse. The visit will include a 30-minute museum viewing followed by a one-hour tour of the historic rooms and courtyards. The tour will take in the Great Hall where the Brothers sit together to eat their meals, the Great Chamber where Queen Elizabeth I held court during the first days of her reign, Wash-house Court associated with the medieval Carthusian monks and Master’s Court which reveals the opulence of Lord North’s Tudor mansion. Prices are inclusive of VAT (Net £8.33, VAT £1.67, Total £10).